Crossrail2: OPEN Dalston’s representations to Transport for London regarding its impacts on Dalston. 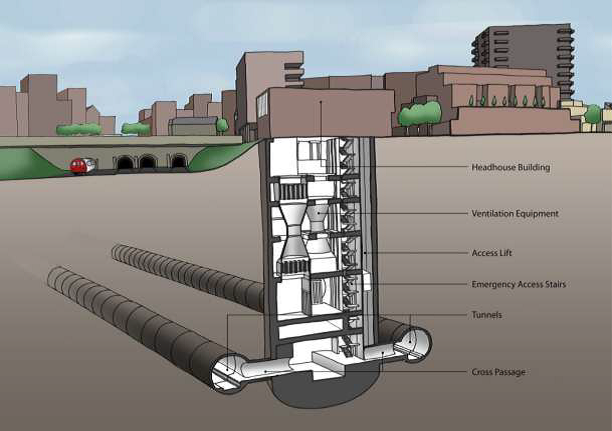 OPEN welcomes the proposal to have a Crossrail2 underground station in Dalston, particularly one which will provide step-free interchanges with the overground lines at Dalston Junction and Dalston Kingsland and links to other railways. We think that this will be of benefit to local residents, the local economy and reduce congestion at the existing Dalston Kingsland station. 2.1 We understand that Crossrail2’s plans are likely to involve extensive demolition and construction works on both the east and west sides of the A10 adjacent to Dalston Junction and Dalston Kingsland stations. 2.2 These areas are highly sensitive in terms of the numbers of local homes involved ( some with ground floor retail/ commercial uses), the local historic built environment, the economy of independent businesses occupying many of the sites and the surrounding St Marks, De Beauvoir, Kingsland and the prospective Dalston Conservation Areas. 2.3 We link here to an analysis of Crossrail2’s plans affecting Dalston, as we presently understand them. We invite TfL to comment on our analysis to assist our understanding. 3.1 To develop a masterplan, in consultation with the local authority and the local community, to plan all the affected areas holistically and on the basis that no demolition will commence prior to planning approval of what will be replaced on the redeveloped sites. 3.2 To identify the least sensitive sites for its operations. 3.3 To minimise the surface level impact of its plans by utilisation of the latest technology, including combining multi functionality of vent shafts, elevators and diagonal lifts, and the use of upward tunnelling wherever possible. 3.4 Construction works to Kingsland High Street east side should be sited so as to minimise adverse impacts and ensure the continuing operation of Ridley Road market, its storage areas, public conveniences and of the Grade II Listed Colvestone School which are each of considerable importance to the local community. 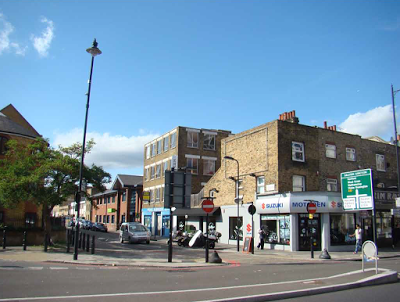 4.1 Crossrail2 proposals, for its northern Kingsland station interchange, involve potential demolition and redevelopment of part of the High Street including the Railway Tavern extending north to Bradbury Street (south side), Bradbury Mews and the houses at 48-52 Boleyn Road. 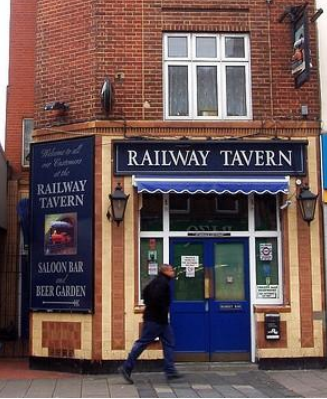 The Railway Tavern is an attractive 1935 deco style building in red-brick with distinctive streamlined moderne style brick banding at third floor level on the façade and with a canted corner. Nos. 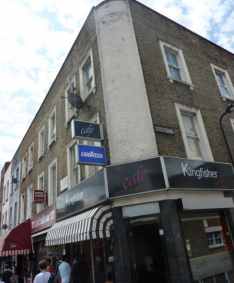 61-69 Kingsland High Street is a mid-19th century three storey terrace comprising shops with flats/offices over. The terrace has an elegant rounded corner framing the junction with the narrow lane of Bradbury Street. Also at risk are Nos. 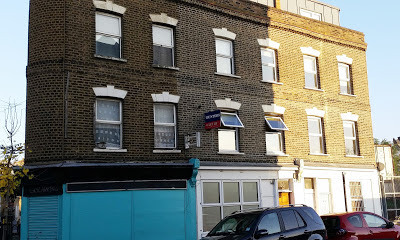 48- 52 Boleyn Road which have recently been refurbished. They are another example of community investment in the regeneration of the Bradbury Street area. 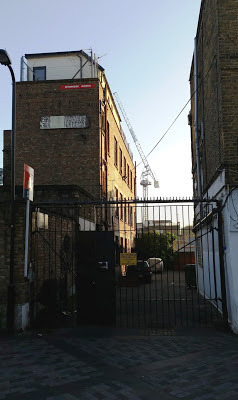 The potential loss of the former factory, and now residential, Springbok Works within Bradbury Mews would completely remove all trace of this element of Dalston’s industrial past. 4.2 The potential loss of these buildings, all within site B, the majority of which are identified as of townscape merit, would be a major blow to local character and to what has become a high quality and improved area of attractive local townscape in which the local community has made a considerable investment. 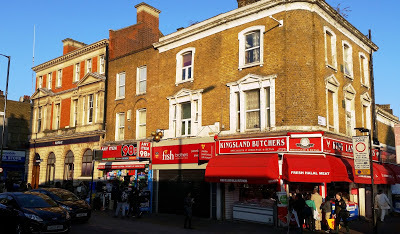 The threats from this proposal include the demolition of the handsome and locally listed 74 -76 Kingsland High Street (Nat West Bank) and the three attractive mid - 19th Century properties including No.68 which “bookends” Ridley Road market by a recessed curved corner and a three bay return frontage. Additional High Street mixed-use buildings to the north are also threatened. 4.3 These buildings each play key roles in the historic townscape of Dalston so their loss to the character and identity of the area would be considerable. - as part of the Kingsland Shopping Centre’s prospective redevelopment which has already been discussed in some detail. In both options we consider that the increased footfall arising from railway passengers is likely to be attractive to retailers seeking to locate in a redeveloped shopping environment on either site. 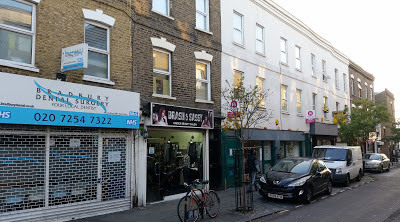 We also note that Nos 82-84 Kingsland High Street (presently occupied by 'Boots') is an underutilised site following wartime bomb damage and may have potential for redevelopment as part of CrossraII2 facilities. 5.1 Crossrail2 proposals for its southern Dalston Junction station interchange, involves potential demolition and redevelopment. 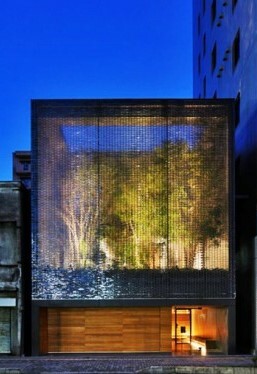 This mixed residential and retail terrace at Nos. 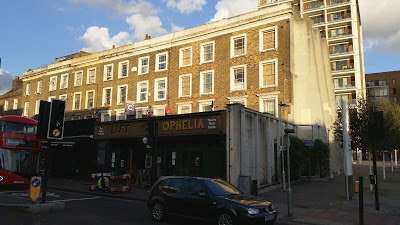 574 to 586 Kingsland Road, within site E remains of considerable townscape importance despite the demolition of the neighbouring snooker hall by TfL to accommodate the underused 488 bus stop and vehicle ramp leading from the bus turnaround on the Dalston Square slab. 5.2 Crossrail2 also proposes potential demolition and redevelopment of parts of the west side of Kingsland Road and sites to the rear. 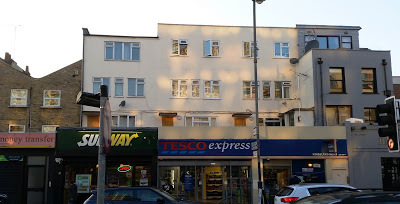 5.3 We consider that the mixed residential/retail historic terrace at 507-517 and 525 Kingsland Road, the houses of Bentley Road and Nimrod Passage, and the residential Enver House at 2-4 Tottenham Road should not be subject to demolition and redevelopment. 5.4 An alternative to the social, economic and environmental damage described above may be for Crossrail2 to consider construction of the Dalston Junction station entrance and ticket hall on the west side of Kingsland Road and to confine its operations within the sites of the Bentley Road car park, 519-523 Kingsland Road (presently occupied by Subway and Tesco Express) and the non-residential Playle House Job Centre on Tottenham Road which have lesser architectural interest than others locally. 6.1 Construction of surface ventilation shafts in a tight urban area like Dalston carries the risk of both the demolition of character buildings and an obvious potential to create a featureless void which will make a negative contribution to the surrounding area which, in Dalston’s case as described above, is one of considerable sensitivity. We wish to make proposals to Crossrail2 to consider mitigating this. 6.2 We wish to explore with TfL the possibility of heat generated in the Underground being recovered to supply heat and/or hot water to neighbouring properties ( most likely to those developed on left-over land which Crossrail2 acquires for its railway construction operations) and to capture, at surface level, the surplus heat and CO2 emissions from the Underground, which would otherwise go to waste, for their use for plant growing. 6.3 The recycling of heat generated in underground railways is not a novel idea, and has been utilised in Stockholm, Paris and Islington (see Appendix). 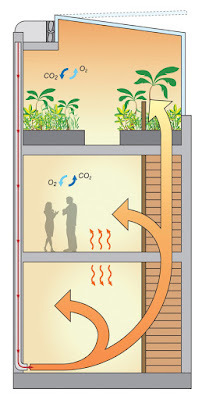 Heat recovery would contribute to significant energy saving. Furthermore the recycling of surplus heat and CO2 emissions for plant growing would contribute to bio-diversity. 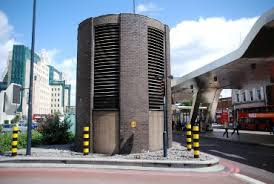 The imaginative development of vent shafts could, by good design create such multi-functionality and mitigate the risk of severe environmental damage to their locations. 7.1 At the time of TfL’s recent redevelopment of Dalston Junction station, at a cost of some £63million of public funds, its’ site was in part safeguarded for Crossrail2 (aka the Victoria to Hackney tube). Indeed, TfLs publicity clearly showed that an Underground station was very much in TfL’s mind at the time. We are dismayed and incredulous that further demolitions are now necessary to incorporate Crossrail2 within the existing railway infrastructure of Dalston Junction. 7.2 OPEN was invited to attend a “Crossrail 2 Dalston/Shoreditch Park Community Engagement Panel” meeting with TfL representatives 23.7.15 in CLR James Library. Those attending sought greater detail of the proposals but time did not permit further discussion. TfL’s notes of that meeting record that the Chair, Councillor Nicholson, and members of the Panel present considered that two Panels were needed, one each relating to Shoreditch Park and Dalston proposals, with further meetings requested in September. 7.3 TfL’s email 11.8.15 advised that it would organise a further meeting “in the autumn” but we received no notification of any such Panel meeting. No further community engagement occurred to our knowledge until TfLs email of 27.10.15 announcing its “major consultation” in the period between 27.10.15 and 8.1.16. 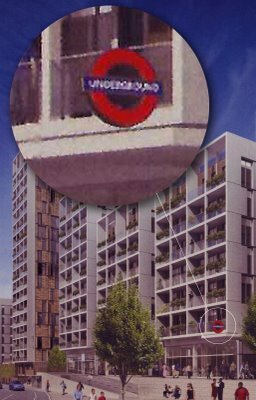 For Dalston, this involved TfL’s presence in Dalston Square on 13 & 14.11.15. It was poorly advertised and TfL’s representatives there appeared to be less informed than those who attended the meeting on 23.7.15 and did not progress our understanding. 7.4 On 9.9.15 we received a reply from TfL to our FoI request dated 11.8.15. This reply failed to identify the potential impact on local heritage assets, which is one of our community’s major concerns. 7.5 All public bodies are required to provide relevant environmental information in a timely and transparent manner. Local citizens, who will be directly impacted by the proposals, would then be better informed. When launching public consultation public bodies are required to set out their proposals, and allow sufficient time for responses, and then to consider those responses. TfLs public consultation has to date been less than adequate. OPEN Dalston is an association of people who live or work in Dalston. OPEN is an acronym for Organisation for Promotion of Environmental Needs Limited. OPEN's objects are to promote excellence in the quality of the built environment, in the provision of transportation and in the provision of amenities, and to ensure that changes to these have proper regard to the needs of residents and businesses and the maintenance of a sustainable residential and business community.